I absolutely did, and here you go! The culmination of ten years of scheming and plotting has come to fruition, and we finally have a way to deliver software in a more social fashion. Now, I realise you are going to scream at us all and say distributions are great at this. They totally are, and that's not the point here, and i would like if we could aim that discussion elsewhere (you will notice how Discover still very much has all the distribution packages up front and centre, particularly in the last screenshot). In this video, we look at Debian 10 Weekly Hybrid Builds KDE Plasma. Stilo is a pack of clean, minimalistic, yet stylish GTK themes for the GNOME desktop. It consists on 2 main themes, Stilo and Stiloetto, each with light and dark variations. 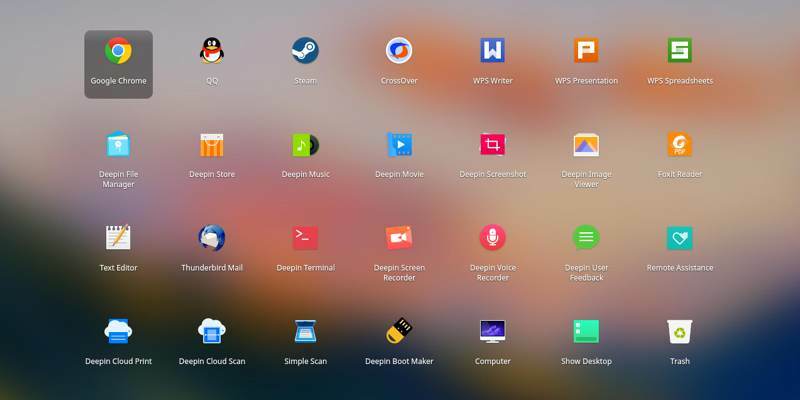 A GNOME Shell theme is also available. Both Stilo and Stiloetto use gray with bits of blue, the difference being that Stilo is completely flat and square, while Stiloetto uses a slight gradient for header bars, and slightly rounded corners for application windows, and elements like buttons and drop-downs. 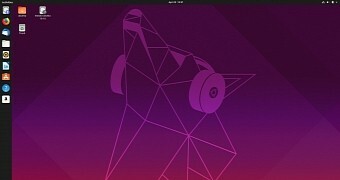 While the Ubuntu 19.04 (Disco Dingo) just hit the streets at the end of last week, Canonical's Ubuntu team are already working on the next release, Ubuntu 19.10, which doesn't have a codename at the moment of writing, but we do know that it will be an "Eoan" animal that start with the letter E. Until Canonical decided to give Ubuntu 19.10 a proper codename, early adopters and testers can now download the daily build ISO images, which are available for Ubuntu Desktop and Ubuntu Server, as well as the official flavors, including Kubuntu, Lubuntu, Xubuntu, Ubuntu MATE, Ubuntu Budgie, and Ubuntu Kylin. Apache Airflow is a workflow automation and scheduling system that you can use to set up and manage data pipelines. It uses workflows made of directed acyclic graphs (DAGs) of tasks. Each task produces some output that is then used as the input to another task. The idea of Whirl is to make it easy to run and develop Airflow workflows on your local machine. This gives you rapid feedback about whether the changes you made to your DAG work. The developers suggest you think of it as your integration test environment for developing Airflow DAGs. The Apache Software Foundation (ASF), the all-volunteer developers, stewards, and incubators of more than 350 Open Source projects and initiatives, announced today Apache® PLC4X™ as a Top-Level Project (TLP). Apache PLC4X also has the designation as being the 200th project to graduate from the Apache Incubator. Apache PLC4X is a universal protocol adapter for creating Industrial IoT applications through a set of libraries that allow unified access to a wide range of industrial programmable logic controllers (PLCs) using a variety of protocols with a shared API. The project was originally developed at codecentric AG, and entered the Apache Incubator in December 2017. Despite the overall loss of sites this month, nginx gained 22.3 million websites and 2.03 million additional active sites. nginx also gained the largest number of web-facing computers, increasing its total by 63,000 to 2.57 million (+2.52%). nginx's market share of web-facing computers is now nearly 30%, and this is continuing to grow steadily closer to Apache's leading share of 37.3%. Microsoft and Apache lost shares in every headline metric this month, with both vendors contributing significantly to this month's overall loss of sites. Microsoft lost 18.9 million sites, while Apache lost 17.2 million, causing their shares to decrease by 1.01 and 0.87 percentage points. These changes have pushed nginx into the lead, giving it a 27.5% share of all sites in Netcraft's April 2019 Web Server Survey. Significantly, this is the first time since 1996 that a vendor other than Microsoft or Apache has served the largest number of websites. With today's GeForce GTX 1650 launch, NVIDIA has posted the 430.09 Linux driver as their first in this new driver series. The GeForce GTX 1650 is now supported by this new NVIDIA LInux driver along with its Max-Q Design and the GTX 1660 Ti Max-Q Design. The NVIDIA 430 Linux driver also adds HEVC YUV 4:4:4 decode support to VDPAU, various other VDPAU additions, raised the X.Org Server requirement to version 1.7, adds the GL_NV_vdpau_interop2 extension, and updates the NVIDIA installer to work better on the latest Linux distributions. NVIDIA have just recently released two new drivers for Linux users, with the main series now being at 430.09 adding new GPU support and the Vulkan beta driver 418.52.05 giving ray-tracing to some older GPUs. Firstly, the Vulkan beta driver 418.52.05 was actually released last week, which adds support for the "VK_NV_ray_tracing" extension for certain older graphics cards including the TITAN Xp, TITAN X, 1080, 1070, 1060, TITAN V and 1660 (along with Ti models). It also adds support for the "VK_NV_coverage_reduction_mode" extension, which doesn't seem to have any documentation up just yet. They also cited "minor performance improvements" and two bug fixes. The TU117-based GeForce GTX 1650 starts out at $149 USD and aims to deliver double the performance over the GTX 950 Maxwell and doing so in only a 75 Watt TDP, meaning no external PCI Express power connector is required. There are 896 CUDA cores and 4GB of GDDR5 video memory with the GTX 1650. Think you're made of tougher stuff? Killer Chambers will probably test you, given how you need some seriously slick reaction times and a good memory to survive it. For those who love their Minecraft-like games, Elsewhere from the developer of Hearthlands might be one to keep an eye on. Early days for it currently, so I will be keeping tabs on this one to see if they manage to make it into something special. I actually quite liked Hearthlands, so I'm keen to see more from this developer. In Save Koch you play as mafia kingpin, Jeffrey Koch, who is under threat from a hidden mastermind trying to take your place. It released last week with same-day Linux support, as the first game from developer Wooden Monkeys. There are currently 1 user and 247 guests online.